As you finish up your college career, you may be considering becoming a CPA. Many new accountants wonder if the benefits really outweigh the challenging process of getting credentialed. The reality is, becoming a CPA is not for everyone and it really depends on your career goals. We’ve put together 5 reasons to get your CPA credential to help you decide if it’s a path you want to take. While CPAs and non-CPAs start out making similar salaries, The Robert Half Salary Guide for 2017 showed that, over time, CPAs make between 5 and 15% more than their non-CPA counterparts. This pay gap may result in a CPA making $1,000,000 or more during her career, which is not a small number. However, salary isn’t the only benefit becoming a CPA provides. CPAs often get compensation outside of a regular salary, such as profit sharing, CPA credentialing bonuses and end of the year bonuses. Public firms often offer generous vacation packages and wellness benefits, such as paying for gym memberships and group health insurance. Did you know CPAs audit the Oscar results every year? Getting your CPA credential opens up doors and allows mobility across a variety of industries. The credential allows you to work in roles that aren’t offered to those without it, and you may even have the opportunity to work on a global scale. CPAs are also in a great position to start their own businesses. CPAs are in high demand from both individuals and small business, making owning a practice the perfect way for entrepreneurial-minded CPAs to earn a great living and set their own work-life balance. If you’re looking for options and variety in your career, becoming a CPA is definitely for you. Becoming a CPA is hard work. It requires a deep commitment and personal sacrifice to pass the exam and put in the hours needed to become credentialed. Companies recognize this type of work ethic and know CPAs are not only technically qualified for higher level positions, but have the soft skills to do well at the top. Roles across organizations such as Managers, Senior Managers, Partners, CFOs, Controllers and VPs of Finance are majority CPA, proving the credential is essential to rise up within an organization. If climbing the career ladder and working in Senior Management appeals to you, the CPA credential will help you get there. We generally don’t associate CPAs with enacting change, but they’re in the perfect position to provide real value and help clients foster progressive thinking, no matter their career path. As a CPA, you’ll play a crucial role in helping clients improve their financial situation, whether that’s helping an individual plan for retirement or helping a corporation align its mission and values with its financial goals. CPAs are essential to many businesses, and the appreciation they receive through their specialized skills will help them feel more satisfied in their careers. The title CPA is recognized not only in the accounting world, but by other professionals and the general public as well. It’s a long and grueling road to become a CPA, and overcoming the challenge automatically gives you respect from both your peers and the public. You’ll also gain a competitive advantage in the job market, which can help you gain positions you otherwise might not be offered. You’ll be trusted and respected as an elite professional giving you more opportunities to follow your passions and do what you love. 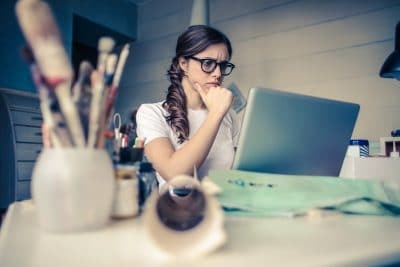 If any of these reasons to get your CPA credential resonated with you, it may be time to start looking into how to get started! At Surgent, we’re committed to providing the best studying and exam experience possible by offering adaptive learning technology and support through your CPA exam process. If you want to learn more, check out our Course Overview.